The JEUNE Advisory Board is a supportive organizational body of respected entrepreneurs, economic players, policy-makers, and acclaimed companies who share the values of JEUNE, eager to support the next generation in the economy and do care about the future by giving their names to its mission. The main function of the Board is to provide reliable knowledge, information and advises on both strategic and concrete issues which can enhance the visibility, feasibility, functioning, international embedding/networking and cohesion of the organization. – It performs a network enhancing function that allows the organization to be effective in its lobbying and interest promotion role. – It provides guidance and develops knowledge by combining experience and innovation. – It is also a connecting platform for reaching the most active influencers at European level and across the various countries with JEUNE members. 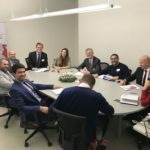 The members of the Board can be successful and respected businessmen, experts and policymakers who share the values and vision of JEUNE on the key role of the next generation of entrepreneurs in the European economy. – Individuals whose activity and expertise can make them role-models for the younger generations across Europe. Their experience and knowledge on choosing and running an entrepreneurial career path are valuable for the functioning of JEUNE in supporting the younger generations and connecting future and present entrepreneurs. 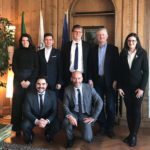 – Representatives of important companies that value the importance of supporting young entrepre- neurship and the next generation of key players of European economy. Their wide-scale reach of the market and relations to large amount of other companies makes their knowledge and advises valuable in providing a real picture of the market for the young entrepreneurs. – Social and economic experts and policymakers with interests in economic development, youth employment and entrepreneurship. 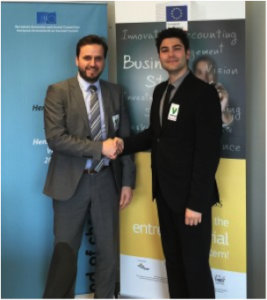 Their advice and knowledge provide help for JEUNE in being an effective entrepreneurship supporting organization all over Europe. Becoming a member of the Advisory Board is possible by invitation of the President. The Present Board will function till the next presidential elections in 2017. The board members can meet when they deem it useful, and may participate to presidency meetings, administrative councils and assemblies of the organization, according to their needs and capacity. Board members can give their inputs also individually, with direct contact with the presidency. Its work is coordinated by its chair, who also forwards the board suggestions and opinions. 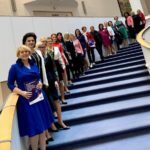 The meetings can be held in Brussels or in any other location agreed by its members or indicated by the JEUNE presidency. Members of the JEUNE Advisory Board enjoy a highlighted visibility in the channels of the Europe- an-wide JEUNE communication (project and media materials, newsletters, conferences and other events, etc.) as supporters of the next generation of economic key players. An Italian eco-social entrepreneur, Michele Orzan sold his biggest brainchild YOPPI to Coca-Cola in order to dedicate himself to the promotion of private entrepreneurship’s role in the society, with an emphasis on ethical values in business life. A former army officer with eclectic military-humanities-business-capitalist-socialist and ethnic-minority based education in 4 continents, fluent in 5 languages, he confers in JEUNE a long experience in employers’ organizations. He is a regular speaker and presenter in universities, institutions and in the corporate world across the globe. 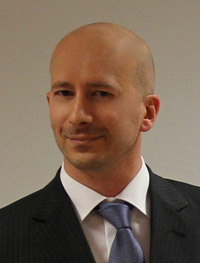 He is the President of EuCham – European Chamber – the institution representing international businesses and their ethical side. Lately he founded the GREENWILL worldwide movement for a green globe, an open-source, free-for-all, nonprofit initiative spanning over 110 countries, and considered one of the simplest yet most innovative and effective initiatives of our times. Sustainability institutes, business schools, governments and businesses are supporting this revolutionary environmental sustainability drive, where companies and organizations can join for free and start developing their environmental involvement by using a free Green Policy. Michele is also designing GreenAdvisor, dubbed the TripAdvisor for the environment, a revolutionary platform and app which will enable anyone to put pressure on companies and institutions. Other posts and involvements include the World Economic Forum, NESsT Europe, the European Business Awards, the Global Startup Awards, the Climate Reality Project, and other institutions. As head of the advisory board of JEUNE – Young Entrepreneurs Organization of European Union, Michele passionately mentors young entrepreneurs and new ventures, while delivering speeches and lectures at business schools, universities and events across the world, focusing on entrepreneurship, leadership development, business ethics and sustainability. Gunnar Froh is a serial entrepreneur and the Founder & CEO at WunderCar. Together with his team he is building a community-based ridesharing platform for instant urban transportation. A behavioral economist by training, Gunnar has co-founded and bootstrapped Accoleo which was acquired by Airbnb in 2011. Gunnar opened Airbnb’s first office outside of the US and spearheaded their internationalization efforts. He represented Airbnb in M&A, PR, Government-, and Investor Relations. Gunnar is also the founder of a car sharing organization as well as co-founder and Managing Partner of VALley Venture Capital, a VC fund assembling high net worth individuals to invest in early-stage technology-driven German start-ups. Prior to joining the world of entrepreneurship Gunnar worked as an Associate for McKinsey & Company consulting clients in automotive, high-tech, and the public sector on operational efficiency. 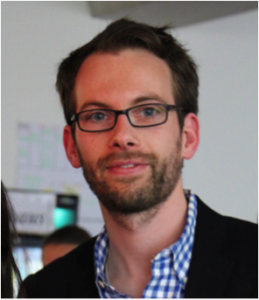 He joined JEUNE in its Advisory Board in November 2014. Graduated in 1996 from the University of Ghent, Belgium, Master in Economics, Tim held positions in business development and sales in software companies. In 2003, Tim joined IBM, through the acquisition of Rational Software. In the first 9 years of his career at IBM he has held several key positions in large account and sales management. From 2013 to 2015, Tim was responsible for IBMs Enterprise Infrastructure Services Unit in Europe, focusing on delivering managed services and infrastructure projects to European enterprises. Since January 2015, Tim is responsible for developing IBM’s Ecosystem in Europe, focusing on developers, academia, entrepreneurs and startups. He leads a team that helps them benefit from IBMs technology, skills and access to market, to grow their potential and market readiness and to expose them to large enterprises to fuel innovation. As an active member of IBM’s Corporate Service Corps, Tim is a strong believer in the importance and value of Corporate Social Responsibility. 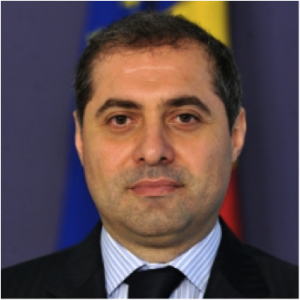 Florin Jianu is one of the most successful Romanian entrepreneurs and the biggest supporter of the business environment at a national and a European level as well, focused on innovative approaches and opportunities given to young people. His current activity concerns the non-governmental sector, being the President of the National Council of SMEs. He was born in Slatina, Romania and studied at the University of Bucharest, Faculty of Mathematics, Department of Applied Mathematics and also attended the National School of Political and Administrative Studies Masters. In 2014 he was appointed Minister for SMEs, business environment and tourism. 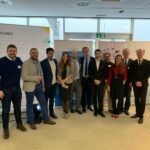 The main results of his activity was the most innovative law for SMEs, a business strategy for 2014-2020, a and a program dedicated to support young graduates to become employees: the Romania HUB program. The policies developed had the objective to place Romania on the European map as the entrepreneurial hub. Other instruments that he has developed as minister included crowd funding, business angel and business incubators’ law and the credit mediator institution. In the non-governmental sector, he was the President of JEUNE, the European organization dedicated to support young entrepreneurs on the continent, and President of the Young Entrepreneurs Association from Romania (YEAR). 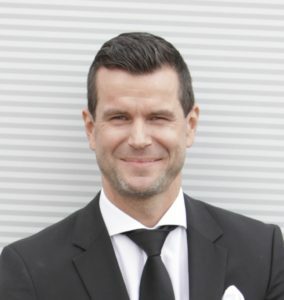 Ingo Fröhlich is a 44 year old entrepreneurial and influential leader in automobile and finance industries, applying 20 years of experience to exceptional business expansions and team performance. During his career, Ingo has been working and living in 8 countries all around the globe. As CEO of Mercedes-Benz and Mercedes-Benz Financial Services in four countries, he has been demonstrating expertise in business development, operations establishment and direction, system establishment, process improvement, policy development, multimedia marketing, sales, public relations, program and project guidance, fiscal oversight, and staff and client satisfaction. For Ingo the key to success is to establish and maintain trust-based business relationships and strategic alliances, create efficient and productive company cultures, and recruit and focus diverse teams to exceed customer expectations. At the age of 21, Ingo founded his first own company, before he changed to persue a corporate career in the automotive industry. Now, more than 20 years later, he decided to apply what he learned as a corporate leader in his own ventures as a private equity investor and portfolio manager and to help young entrepreneurs to succeed in business. He is a risk taker who believes in the creation of win win situations to generate success. Last but not least he is actively supporting the International Child Safety Organization.